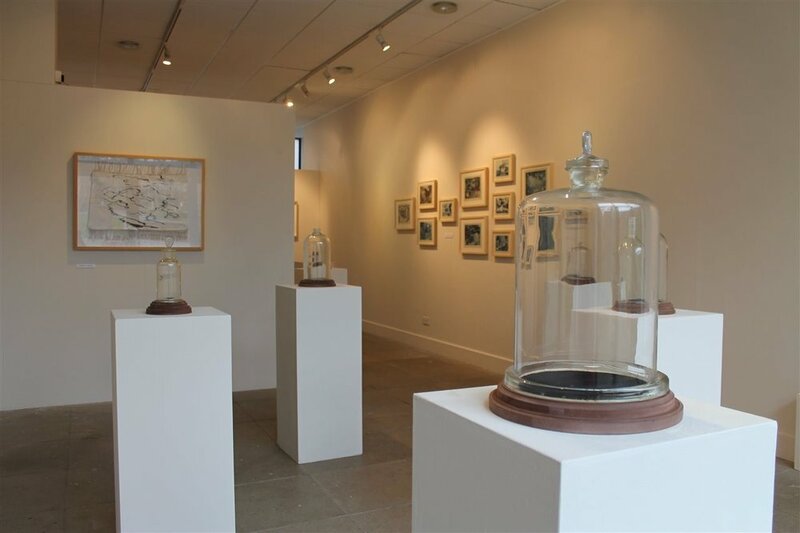 The Tunnel Gallery is a well-established exhibition space in the heart of Tonbridge School. With a generous 25 meters of wall space and 60m² of floor space, it holds up to 10 exhibitions per year and, during the first two school terms, is home to the Tunnel Gallery Artist in Residence. Each year we invite applicants to make specific proposals for the creative use of the Gallery. The residency usually runs for one term and during that time Residents have access to the extensive facilities of the Art Department to develop a body of work whilst gaining valuable experience of working in an educational environment. The primary function of the Tunnel Gallery and in turn the Tunnel Residency, in tandem with the Old Big School Gallery, is to forge new - and build upon existing - engagement in the creative pursuits of the Art Department and to raise the profile of the Visual Arts in the eyes of the whole School Community. It is hoped that every member of our community can experience, and have some investment in, the creative pursuits of the Art Department, through the Gallery. A sister gallery to the Tunnel Gallery, it is a larger, more formal showing space. Follow the Art Department Instagram feed to keep up-to-date with all of the latest news, exhibitions and ideas coming from the boys, the department, and the Tunnel Gallery.